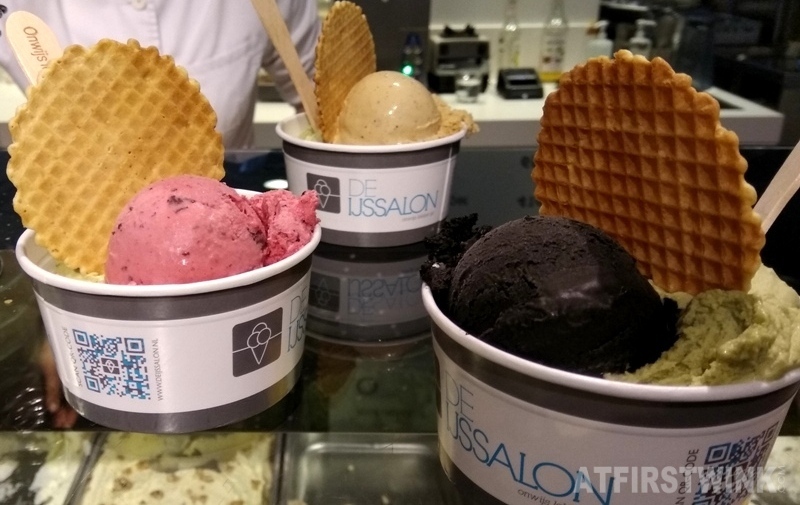 Last week, I visited De IJssalon again and I discovered that they have black Valrhona chocolate sorbet ice cream and also, matcha green tea ice cream. 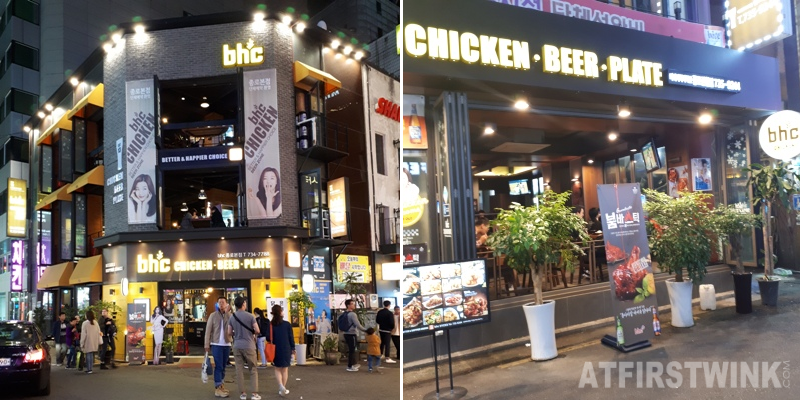 Although there was a long waiting line, I just had to go taste it. I normally take three scoops, but there wasn't any other flavors that I really wanted to have, so I only choose those two flavors. 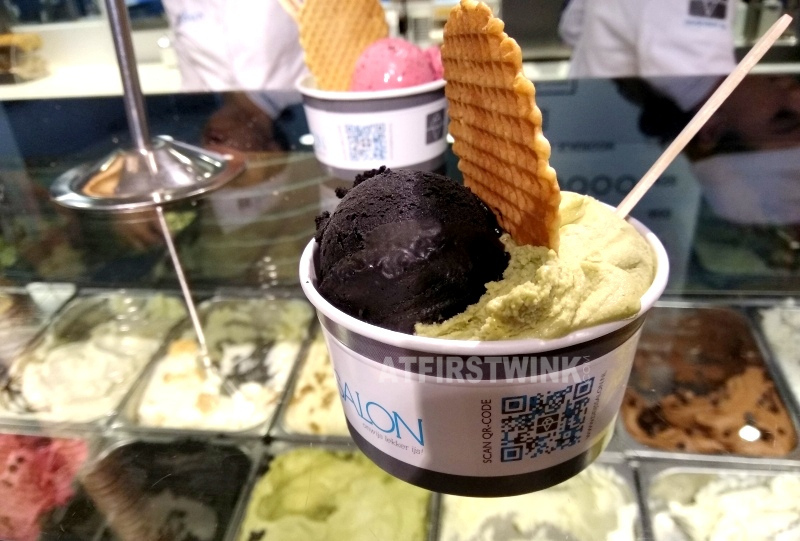 The black Valrhona chocolate sorbet ice cream is called Black androgyn and you needed to pay an extra supplement of €0.50 for it, as it is one of their special ice cream flavors. The green ice cream on the right of it is the matcha green tea ice cream. - black androgyn and matcha green tea. - blueberry and matcha green tea. 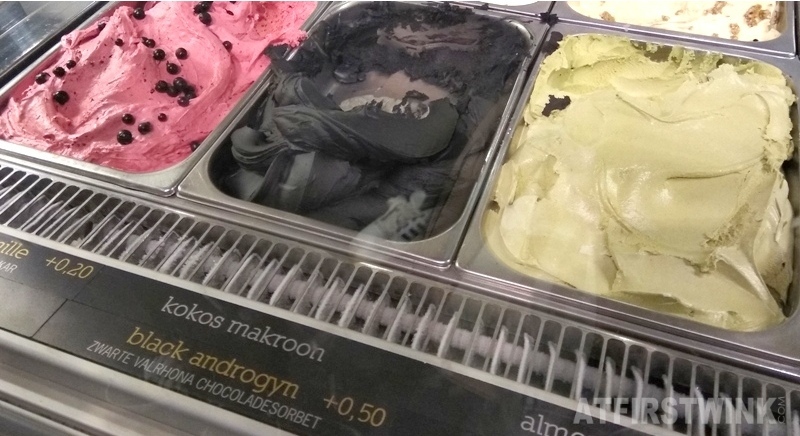 The black androgyn ice cream was a bit too bitter. Even for me, who drinks Chinese bitter tea like it is water and who likes the bitter taste of dark chocolate. I actually think it tasted a bit like burned chocolate. Because it is a dark Valrhona chocolate sorbet, the texture isn't milky, but a bit watery instead. 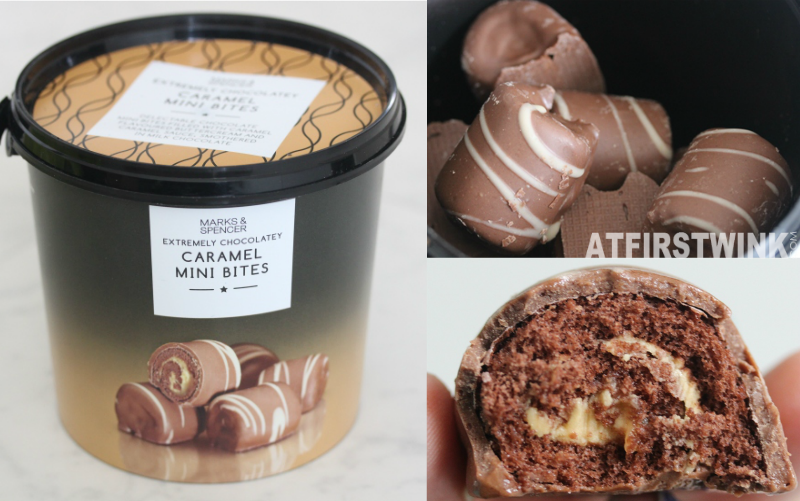 It does have an intense, bitter chocolate end taste. To me, it isn't that special and more of a gimmick. It looks amazing on Instagram and the fact that your teeth and mouth turn black would probably appeal to children too. The matcha green tea ice cream is something that I wished that I could find in the Netherlands since ages, instead of only during my vacations in Hong Kong and Japan. Sadly, it didn't meet up with my expectations. I wanted a very rich matcha flavor like the matcha ice cream I had at restaurant Full Moon, but I got a green tea flavor which was similar to the green tea birthday cake from the Koekela. It isn't bad, but it just isn't rich and bitter enough. Again, the green tea flavor reminds me of the large bags with sugared green tea powder that I can get at the local Chinese supermarket. The ice cream is also a bit on the watery side, while it would taste better if it was firmer and more powdery. I have already reviewed the cappuccino ice cream before over here and it is still very good. I normally pick mocha ice cream in an ice cream parlor if I wanted to get a coffee flavored ice cream, but it just doesn't really cut it. The coffee flavor would not be strong enough and both the sweetness and the texture would not be right. This ice cream has it all right for me. It has a strong coffee flavor, it is not too sweet, and it is milky. The blueberry ice cream was something that I almost picked too, as it was next to the black androgyn ice cream and the bright pink color and blueberries on top made it look very yummy. I quite liked it, as the sourness was just right and you could really taste the blueberry flavor. It is also a great ice cream flavor to take along with a very sweet ice cream flavor, as it cuts through the sweetness and makes it easier to bear for people like me who easily gets nauseous from eating too much sweet things.